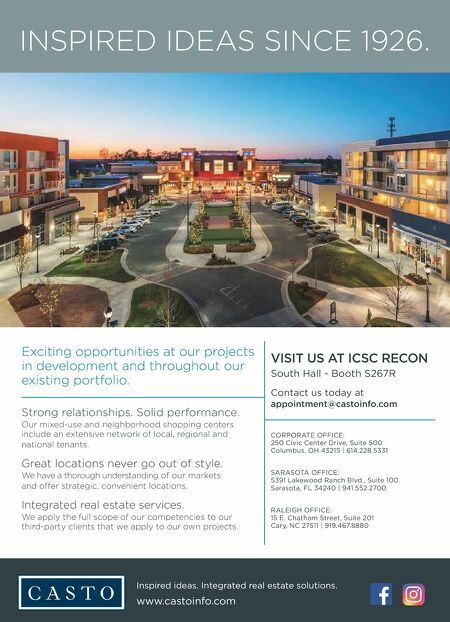 VISIT US AT ICSC RECON South Hall - Booth S267R Contact us today at appointment@castoinfo.com Inspired ideas. Integrated real estate solutions. www.castoinfo.com Exciting opportunities at our projects in development and throughout our existing portfolio. Strong relationships. Solid performance. 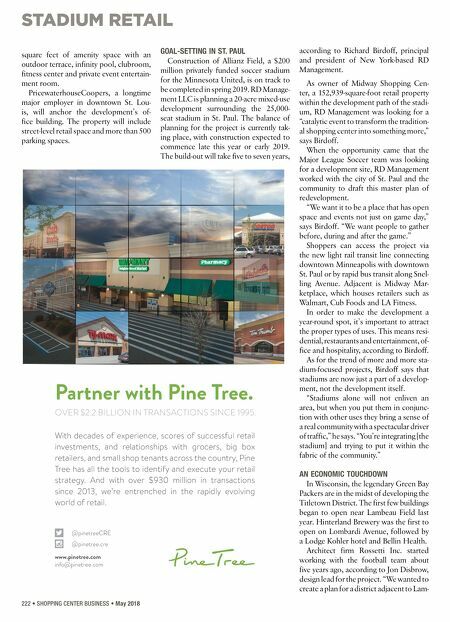 Our mixed-use and neighborhood shopping centers include an extensive network of local, regional and national tenants. Great locations never go out of style. We have a thorough understanding of our markets and offer strategic, convenient locations. Integrated real estate services. We apply the full scope of our competencies to our third-party clients that we apply to our own projects. RALEIGH OFFICE: 15 E. Chatham Street, Suite 201 Cary, NC 27511 | 919.467.8880 CORPORATE OFFICE: 250 Civic Center Drive, Suite 500 Columbus, OH 43215 | 614.228.5331 SARASOTA OFFICE: 5391 Lakewood Ranch Blvd., Suite 100 Sarasota, FL 34240 | 941.552.2700 INSPIRED IDEAS SINCE 1926.